The past few weeks had me in a depressing mood. I think it was a combination of staying inside too much, having a lot on our plates and me realizing just how quickly our little boy is growing up. 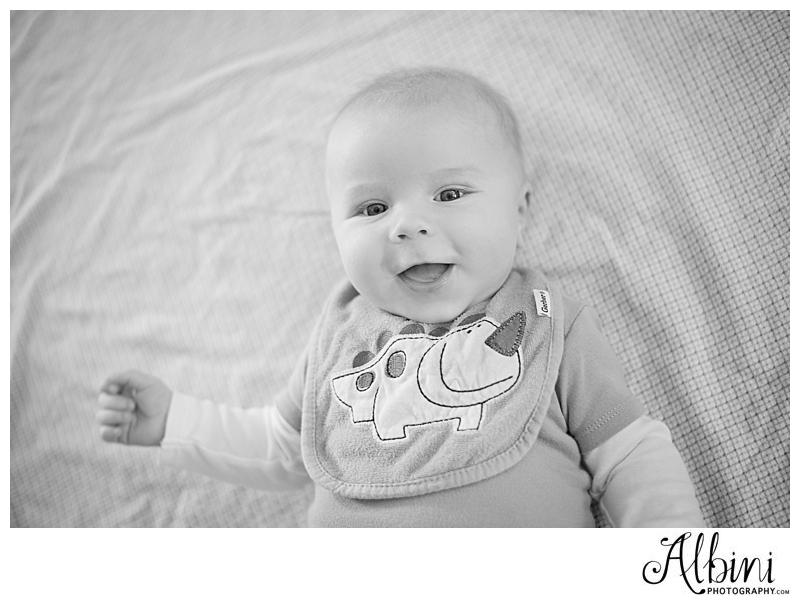 I mean, in all reality, he is only 3 months old but these past 3 months have gone by so fast! I miss how little he used to be and how he used to fit so perfectly in my lap. Today has been a new day--a change of mindset, if you will:). I am thoroughly enjoying these times. Travis and I were talking about how fun this stage is because he isn't mobile yet but definitely has a little personality. We can lay him on our bed while we are getting ready in the morning and just listen to him coo & watch him stare intently at the fan circling over his head. As you can tell in the pictures above, he has lost most of his amazing baby hair but lots more has grown in. He has a mullet in the back and straggly pieces on the top of his head. It is amazing how, as a mom, you even think straggly hair is cute! 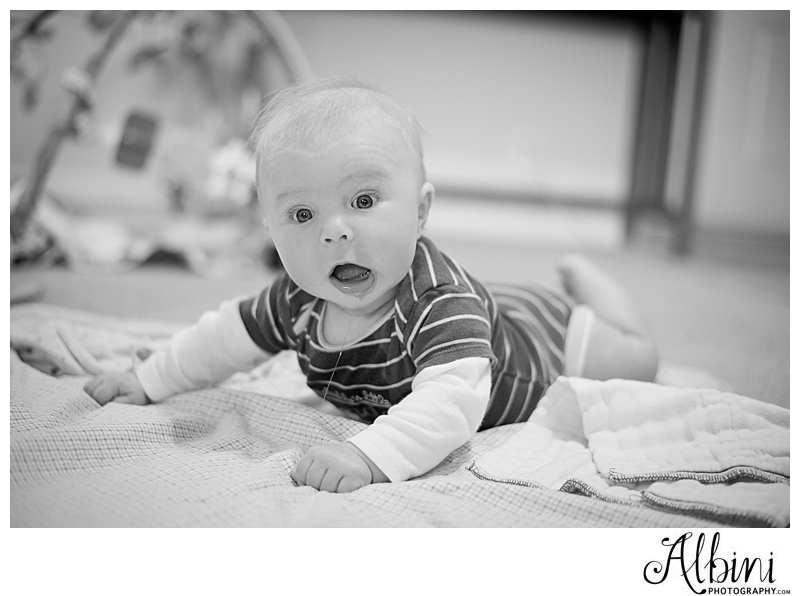 At 3 months Brody has learned to blow spit bubbles, really lift his head at tummy time, grab toys in front of him & pull them into his mouth, grab our hands as we are changing his diaper, roll on his sides, and lots more. He has rolled from his tummy to his back twice but it isn't consistent. 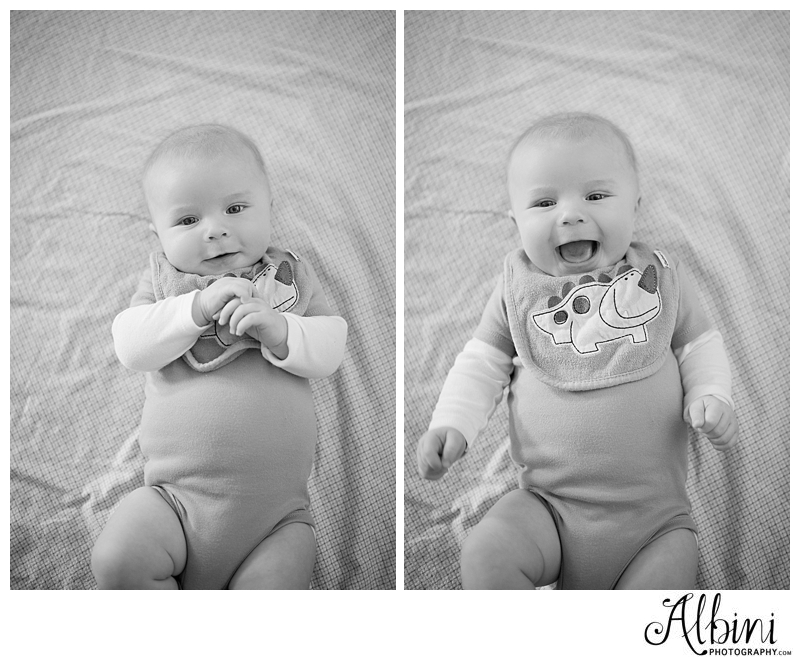 His giggles are infectious. He is such a happy and content baby. He usually goes to bed around 8 or 9pm and sleeps in until 7 or 8am. Yeah, it is unreal. Every night we pray for great sleep and every morning we wake up just amazed that he did it again. We are so thankful for his sweet personality that we have be able to see so far. Oh, and he is often wearing a bib because he drools everywhere! He loves it when Travis throws him up in the air and tosses him around a bit. As long as it isn't right after a feeding I'm okay with it:) He does great with new people and is such a joy to be around. So although I can sometimes get in a sad, reminiscent mood, we are most definitely enjoying these times.